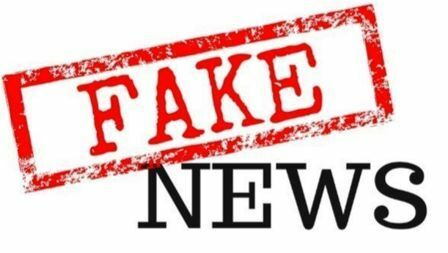 Fake news going around on different social media has always caused misunderstanding, pain, riots and social disruption thus putting people’s lives in danger. To curb this menace of fake news on social sites a plea was filed by advocate Anuja Kapoor, saying there should be accountability, liability and responsibility of the authorities and departments concerned to prevent spread of such news. But the Supreme Court refused to entertain a plea seeking a direction to the Centre to frame guidelines and laws to curb the menace of fake news on social sites. A bench headed by Chief Justice Ranjan Gogoi dismissed the plea which had sought directions to the ministries of Home Affairs, Law, Information and Broadcasting and Electronics and Information Technology to constitute a committee for tackling fake news on various social media handles. It referred to unverified news on social media relating to the ongoing tension between India and Pakistan. “The non-restraining of the various fake news travelling on social media handles leads to crimes against humanity such as mob lynching, abetment to murder, sedition, communal riots, influence in elections, mass hysteria,” the plea said. It had also sought framing the necessary guidelines, appropriate laws and bye-laws and appropriate punishment for its violation. “There are no set laws relating to restricting fake news, which travel on various social handles, no proper guidelines and punishments/penalties for those social media handlers,” it said.